We are Bangaluru’s finest wine & spirit merchant, established in the about over a decade. Our flagship store has been located at HSR layout, since 1999 when K S Lokesh founded it. Broadway is a gourmet gastro bar serving global cuisine. It is inspired by the Japanese art of Origami which allows creative folding of paper to make beautiful artwork. Our wine events and workshops are dedicated to the enjoyment, appreciation, and knowledge of wines in a professional, cost-effective and fun learning environment. It was in the year 1999, When K S Lokesh stepped into liquor retail business, very soon understood the changing consumer habits & the need for modern trade retail businesses. In the year 2005, he started a premium wine & spirit outlet by the name Madhuloka Liquor Boutique which offered a unique shopping experience to its consumers which was well appreciated by the consumers. Thinking ahead to bring in more change in the liquor retail business, he opened our flagship store of 4000 sq. ft. supermarket style shopping experience. Today the Madhuloka Group has 20 stores across Bengaluru city selling premium wines, beers, spirits & other associated products which crossed an annual turnover of 120 crores having a major market share in the premium segment. K S Lokesh has created a trend in the premium market segment wherein now, Bengaluru city alone has 350+ modern trade outlets & Karnataka has crossed the revenue of 18,500 Crores. K S Lokesh epitomizes his great passion for wine through education which is very important & the primary aspect to understand the basics of wines. 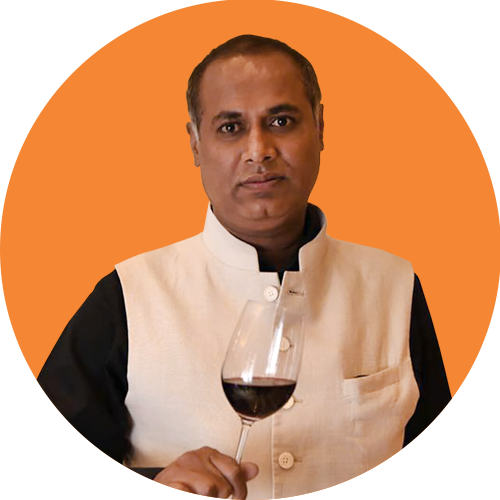 In the year 2014, he started an exclusive wine library & a centre for wine education for the first time by the name “Enoteca by Madhuloka” with dedicated wine services, events, tasting & food pairing for wine enthusiasts. Thinking fresh, In the last few years he has started exclusive wine retail benefited with Karnataka wine policy and has opened finest wine boutiques which sell exclusive wines from around the world. Considering wine education, the role of wine education in India is a very primary requirement. So he started certified wine course by the name “WEAT (Wine Education Appreciation & Tasting). This course is certified by the Karnataka Wine Board, a Government of Karnataka undertaking. In the span of last two years, Enoteca by Madhuloka has trained over 3000+ connoisseurs, students, wine enthusiasts & has created several jobs in the industry. Looking ahead, in the wine & food pairing, he thought of a requirement of a global cuisine restaurant. So he started Broadway – The Gourmet Theatre which is well appreciated among the Bengalurians.